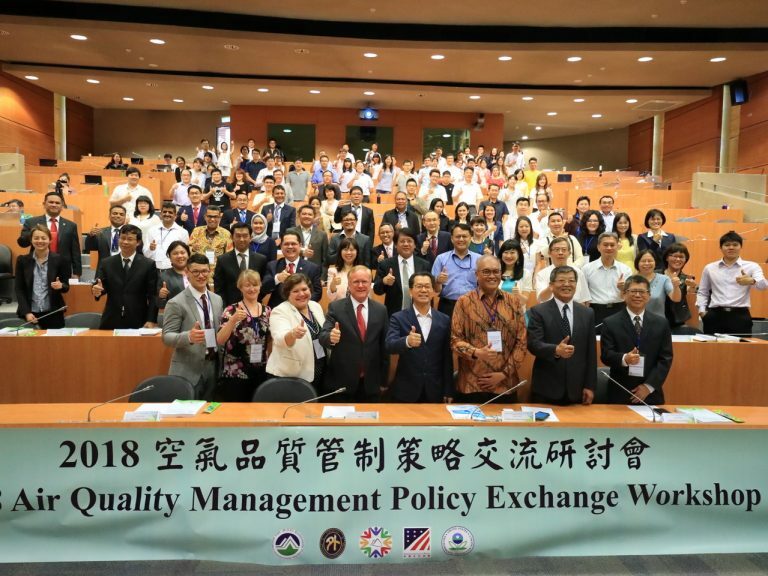 In conjunction with Taiwan’s New Southbound Policy, Taiwan EPA and US EPA jointly hosted the Air Quality Management Policy Exchange Workshop from June 4th to 7th in Taipei. Taiwan EPA and US EPA invited more than 26 high level officials from 10 different countries to exchange information on air pollution control. Through the workshop, Southeast Asian countries share their interests on several air pollution topics, such as fund sources for implementing air pollution control, the QA/QC for air pollution monitoring sites, open burning, fume exhaust control in the bistro, factory pollution prevention infrastructures, and scooter emission regulations. In addition, as part of the International Environmental Partnership, US EPA is working with Taiwan EPA to develop a new South and Southeast Asia-Air Improvements in the Region (SSEA-AIR) platform. This collaboration platform will cooperate with countries and cities across South and Southeast Asia improve their technical capacity to address air pollution.